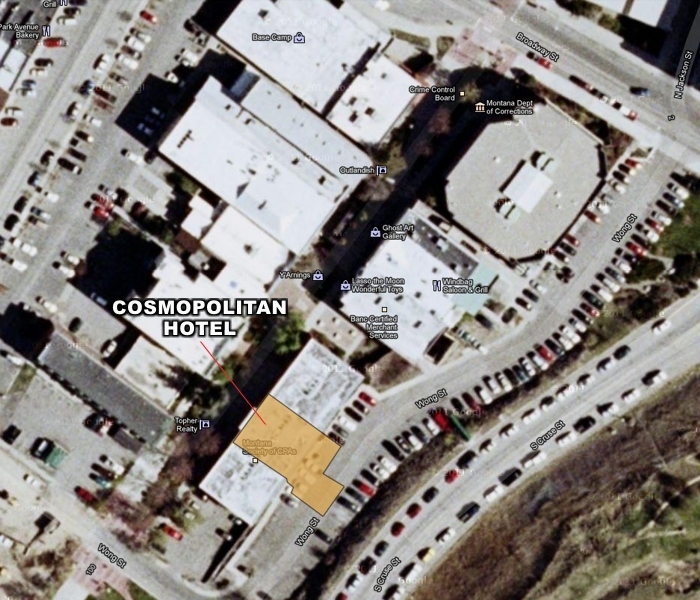 The Cosmopolitan Hotel, located at 37-39 South Main, was for many years Helena's finest hotel. It was ideally situated at the hub of banking and commerce during the boom years, and attracted all the movers and shakers of the era. 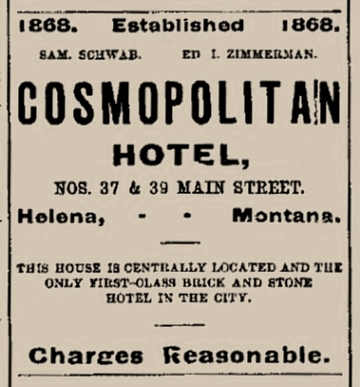 During its peak, the Cosmopolitan was operated by Sam Schwab and Ed Zimmerman. 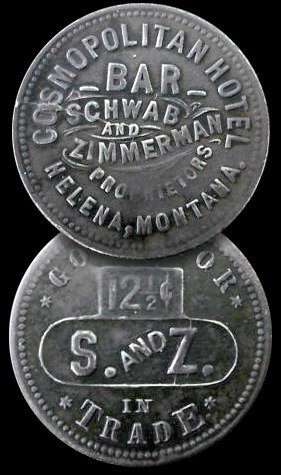 Beginning about 1920, the building housed the store of C. J. Bausch & Sons, retailers of stoves and ranges. The two upper floors were removed after being damaged in the 1935 earthquakes, that damage being caused in part by a large heavy sign which had been mounted on the front of the building. 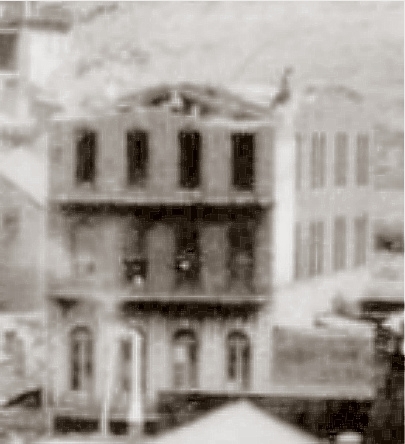 The damaged Cosmopolitan Hotel building shortly after the 1935 earthquakes, before removal of the top two floors.